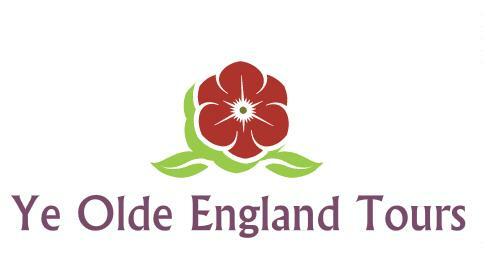 Ye Olde England Tours is our privately owned and operated business. We have lived in Southern England since 1982 and have a comprehensive knowledge of this beautiful area and its fascinating history. We are committed to providing a professional, courteous and knowledgeable service and have a long held driving licence with no driving convictions. Our car is very comfortable and fully insured. We specialise in day tours from the London area to surrounding historical, cultural and tourist sights. Stephen Liddell has travelled extensively through 21 European nations as well as throughout North Africa and the Middle-East. Stephen has organised holidays and tours in several countries outside of the U.K. for 15 years and travels extensively throughout the whole of the U.K. having organised guided tours to dozens of historic sites and visited hundreds more. With both a Bachelors and a Masters Degree in History, you can be sure you won’t miss a thing. We can create themed tours depending on your interests such as to the country homes of great Prime Ministers such as Churchill and Disraeli or to magnificent palaces such as Blenheim or Highclere, scene of television’s Downton Abbey. If medieval England is more to your liking, then tours of many castles are possible such as at Windsor or Warwick, a castle well-suited to combining with a trip to Shakespeare sites at Stratford Upon Avon. We also have an unmatched wealth of beautiful churches and Cathedrals or beautiful cities such as Oxford, Cambridge, Ely and the Roman city of St. Albans with its magnificent Abbey, ancient pubs and markets and Roman ruins. Our history and sites go back much further than that though with Stonehenge being just one of hundreds of prehistoric attractions. We can arrange your overnight accommodation or alternatively you can stay with us for a specially unique stay in a comfortable but typically English house. We have been hosting tourists on Airbnb with consistently rave reviews as we genuinely enjoying helping people have an enjoyable holiday. Every visitor is special to us and our prime motivating factor is to give you the best holiday possible. Travel with us and experience good old fashioned English hospitality and see a part of England as different to London as can be imagined. Duration: Between 3 and 10 hours as per tour page info.